headlights, daytime running lights and all the lights listed below turn on and off automatically. marker, parking, tail, license plate, daytime running lights and instrument panel lights turn on. 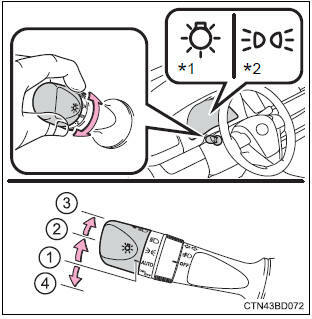 headlights and all the lights listed above (except daytime running lights) turn on. daytime running lights turn off. daytime running lights turn on.